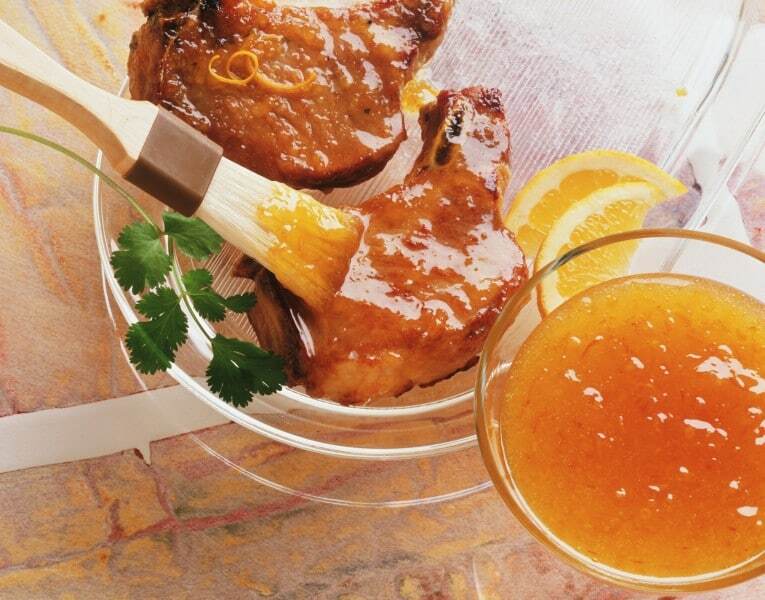 To simplify your cooking processes, we offer you a large selection of ready-to-use liquid marinades. These marinades can be stored at room temperature until opened. Simply click on the product to view more information. You can also download a printable version of this list. You will have a quick access to all liquid marinade flavours and product codes. The printable document also includes coloured symbols that allow you to identify at a glance which marinades are spicy. We have also marked our best selling products in Quebec with a gold star! Click here to download the printable version. Traditional BBQ flavour, with a strong taste of pepper. This sauce is red. Hickory smoke BBQ taste. This sauce of brown colour is excellent on pulled pork or pulled beef. Traditional Asian marinade made from soy sauce. Once the marinade is on the meat, pieces of garlic become visible. This marinade mixes the hot taste of pepper, the burning feeling of chili and the sweet taste of maple, all with a light smoke flavour. Marinade made from a blend of Provençal herbs (thyme, rosemary, lavender, etc.). For beef lovers! A BBQ marinade full of character with crushed pepper, onion, and garlic. Thai marinade with a sweet and spicy taste, of orange colour and with sesame seeds. Trendy marinade that can be sold as an home-made marinade. Sweet taste with vinegar, ketchup, and soy sauce. Perfect with any meat. Marinade made with real whisky, combined to subtle aromas of smoke and maple.